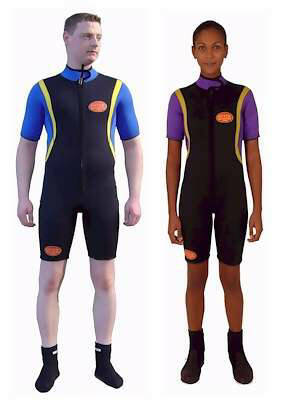 The 3mm Front Zipped Shorty is ideal for in the pool or the Caribbean. Can also be worn together with a Steamer as below for more warmth. Choose the 3mm Steamer which is ideal for diving in the Red Sea or choose the 5mm Steamer instead for colder waters, instructors and night dives. 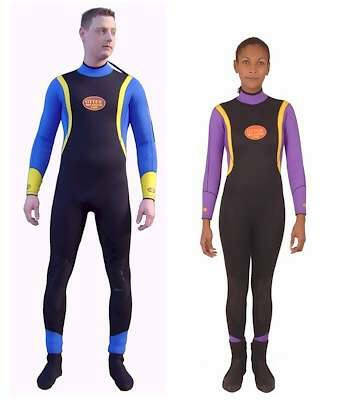 The Steamer can be supplied using 3mm or 5mm neoprene making the system ideal for Instructors and cooler night dives. Both Steamers have a thermal plush liner, strip neoprene wrist seals, smooth skin neck and back zip. Wearing both the shorty and the Steamertogether, this combo is the ultimate wet system, ideal for night and longer dives. Separate 5mm hood with buckle that can be attached to the front zipper of the wetsuit when not in use, Trilastic Knee Protection. Metal Skin seal on neck,wrists and ankles, 3mm monopiece, Rear zip, Metal Skin Seal at wrist, ankles, and neck, Tricore technology, Custom Closure neck, Exclusive Trilastic Knee Protection. 2.5mm shorty - Rear zip - Metal Skin Seal at arms, legs, and neck - Tricore Technology - Custom Closure neck. Great for Men & Women, part of the She-Dives range.